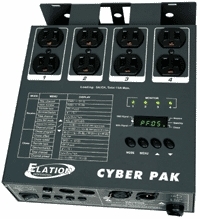 Elation Cyber Pak 4-Channel Dimmer DJParts - All Variety of Parts that DJ Needs. • Weight: 7.25 lbs. / 2.7kgs.